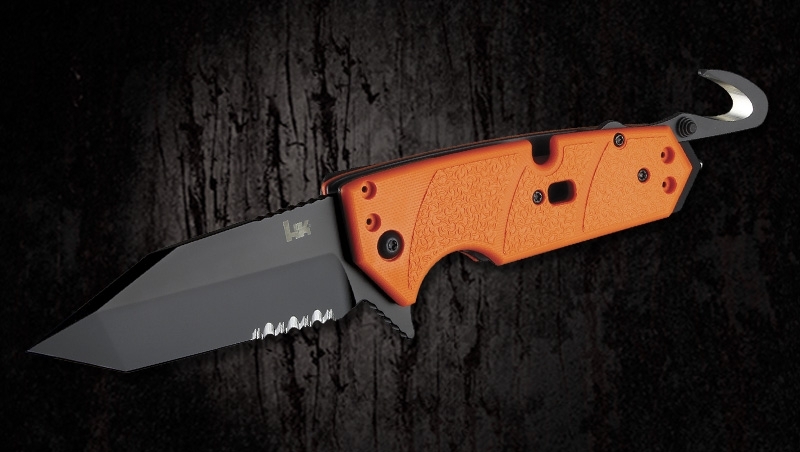 HK Karma provides the utility to slice, cut, break and wrench with confidence. This cutting tool is purposefully shaped and sized for the gloved or bare hand and can be carried or packed with ease. A choice of Tanto or Spear Point blade shape each feature partial serration and plenty of edge utility for the unexpected. A strap cutter positioned on the handle spine, rotates open to safely cut through fibrous materials with ease. 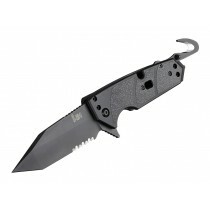 At the rear is a carbide glass breaker, and the G10 handle features an oxygen wrench making the Karma the right choice for first responder, rescue or anyone looking to go prepared. Blade and handle options available as well.